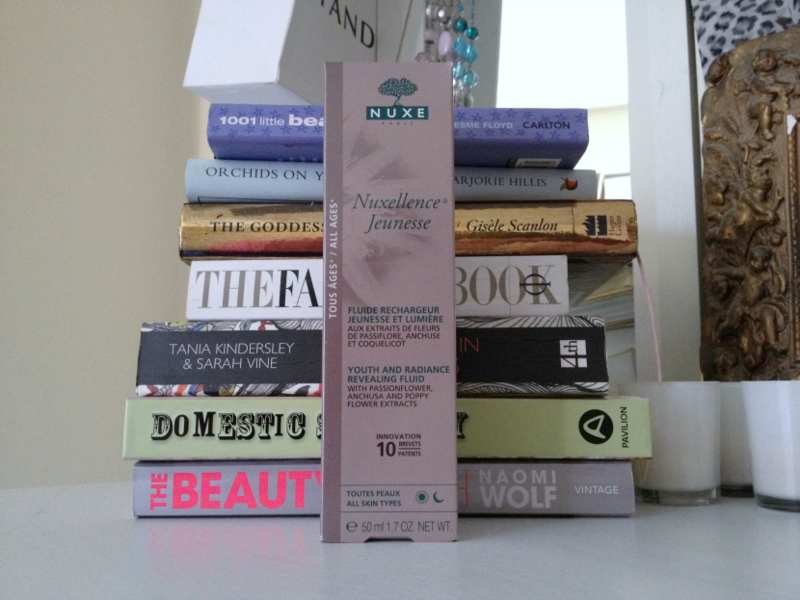 Nuxe is one of those brands that I adore but never purchase for myself. I may think twice about that in the future though and part with some hard earned pennies. As French brands go, Nuxe is on the more luxury side - at least with their packaging. I just want to take a moment to appreciate the really cool pop up top on this product. You click it one way and the pump comes up and then repeat in an alternate motion and it hides away again. I would have photographed it but the lighting was pretty shoddy (apologies). However, if you ever do get to have a look at it then I think you'll agree it's pretty cool. And it also gets a thumbs-up for being really hygienic too. 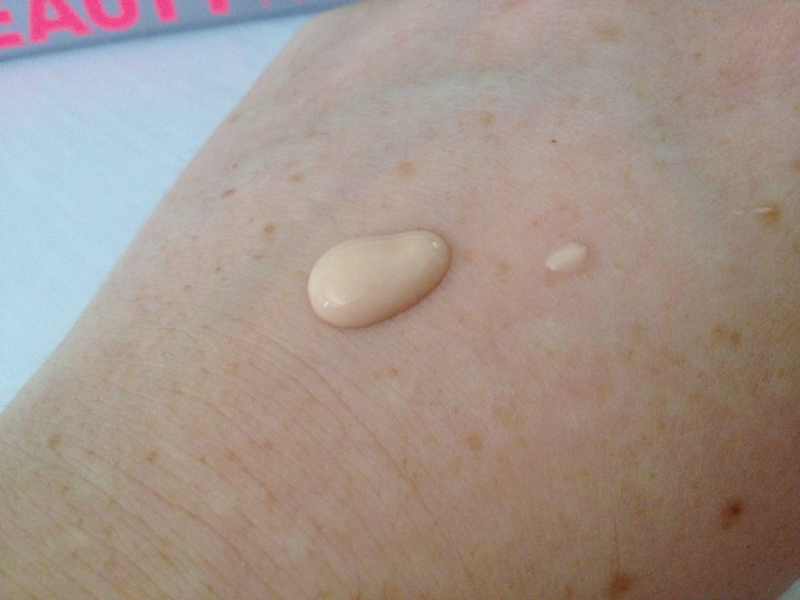 This is a beige coloured serum-lotion hybrid (more on the serum side in honesty) that glides onto the skin like silk. It smells very lightly of something floral and sinks in so quickly that it instantly leaves my skin feeling like velvet without leaving residue or a tacky feeling. It's not especially moisturising so if your skin is super dry I wouldn't put your hopes and dreams on this sorting it out (get a really rich moisturiser instead but certainly use this underneath that moisturiser for a little extra boost). I feel like my skin looks more luminous when I use this product so I use it day and night - during the day for it's radiance and at night for the anti-ageing properties. I wouldn't say I've noticed a massive difference in the way my skin looks as regards ageing considering that this is a predominately anti-ageing product but I think that's something that's going to take time to show. I wouldn't recommend it for sensitive skin because, even though my skin isn't particularly sensitive, if I've double cleansed then I do feel like it tingles (it can sting a little too). It doesn't contain chemicals or parabens but I would suggest checking the ingredients to make sure there isn't anything you may have a reaction to if you're more prone to sensitivity. I will definitely repurchase this product when it runs out because I love the texture, scent and the way my skin looks when it's applied. 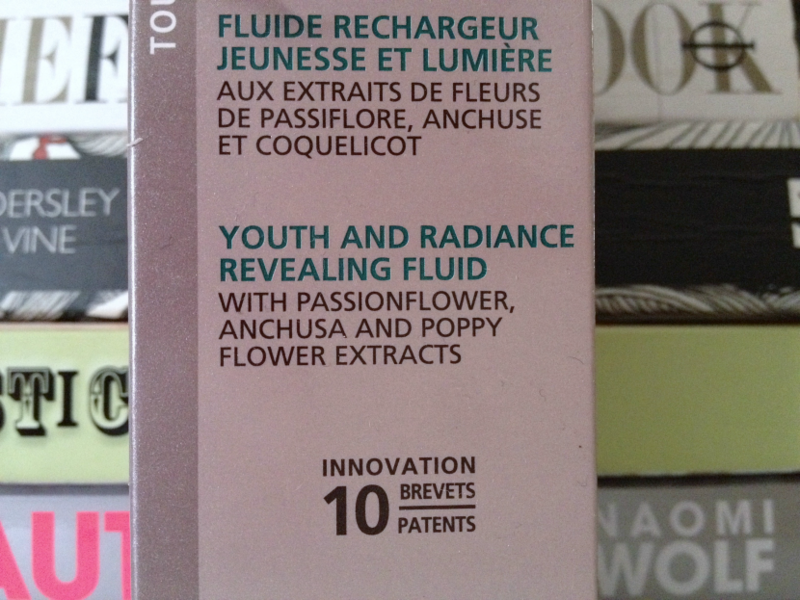 However, it is a steep price tag so it's more of a long-term investment for my skin rather than a short-term fix (although, thinking about it, whenever is skincare 'short term'?). 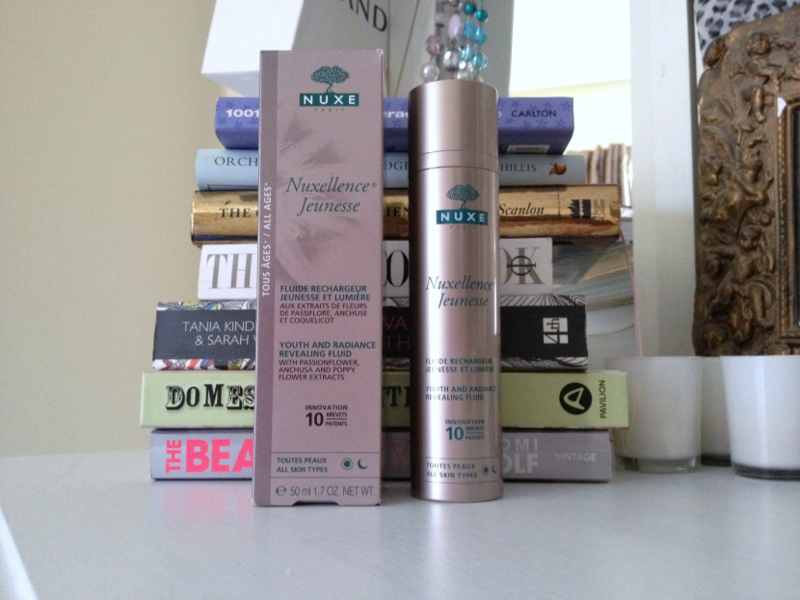 Nuxe Nuxecellence Jeunesse Youth and Radiance Reveal Fluid (RRP £46.00 50ml) is available from the Nuxe website. The cheapest that I've found this product is on the Gorgeous Shop website where it's being sold for £38.99. DISCLAIMER: The product(s) reviewed in the post were sent to me C/O gorgeousshop.co.uk. All opinions expressed about the product are my own. I will never dishonestly review a product as I believe dishonest reviews lead to a lack of trust from my readership. I have not received any sponsorship for this review, simply the product. I was under no obligation to review this product when I received it. There are no sponsored links in this post and I will not earn any commission if you click on the links. 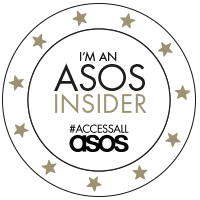 For my full disclaimer policy please see the page labelled 'PR & DISCLAIMER' which is located in my sidebar and under my blog header.